We are all trying to decide if we are still living in Arizona…….the wind has been blowing like crazy and we are wondering if we have been blown to Kansas?!?!?!??! Anyone see Toto? Once again we got our customary 16 inches of rain! Drops of rain 16 inches apart! It sure makes a mess of the cars! They are looking kind of like giant mud balls. The kids should have fun writing “Wash Me!” all over them. Hopefully the mud balls don’t get together with my dust kitties! Watch out tumbleweeds! 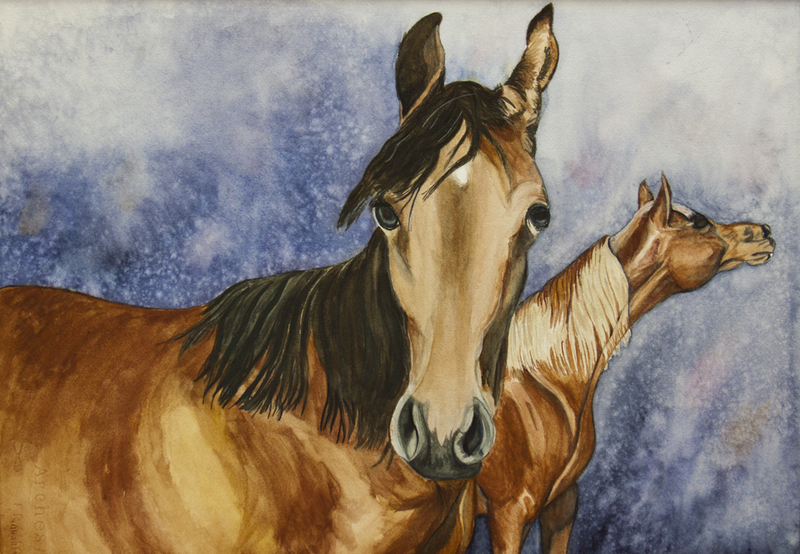 The Arabians have eyes now and it is about time to step away from the painting! Stay tuned!